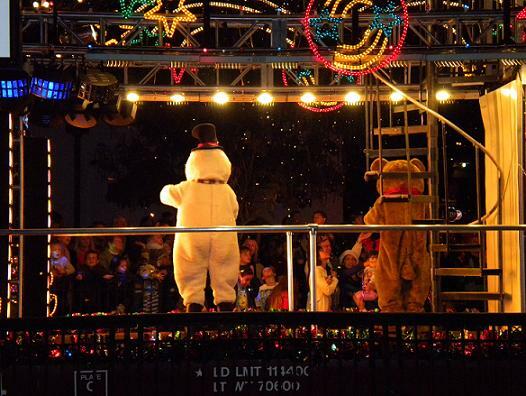 I was stepping off a Metrolink train in Claremont a little after 7 p.m. Saturday when what to my wondering eyes did appear but a gaily lighted train with music and costumed characters performing for families on the other side of the other set of tracks. This would be the Metrolink Holiday Toy Express that hits our local cities this time of year. I’d heard about it but never saw it before. Everyone seemed to be having a good time. The train also stopped in Montclair, Upland and Baldwin Park that night.